PARRISH – Bishop G. Porter Taylor, the sixth bishop of the Episcopal Diocese of Western North Carolina and a visiting professor at Wake Forest University, will be the facilitator for an Eastertide Quiet Day program at DaySpring Episcopal Center on Tuesday, April 30, 2019. His topic will be Living and Telling the Good News, a subject he says is not a skill of going out to evangelize, but instead having “a change in how we see things” so we can more easily share our faith with others. “This is about connecting with an encounter of the Holy in your life,” said Taylor. The Quiet Day events at DaySpring are open to the public, and all denominations. They began at DaySpring in 2016, after the construction of a new, $1.5 million program center. The day includes four teaching sessions and lunch in the DaySpring Curry Hall dining room. Bring a Bible and comfortable clothes for optional quiet contemplative walks. Visitors may also walk the labyrinth by St. Thomas Chapel, walk Stations of the Cross along the river or spend time on the many trails on the 97-acre campus. 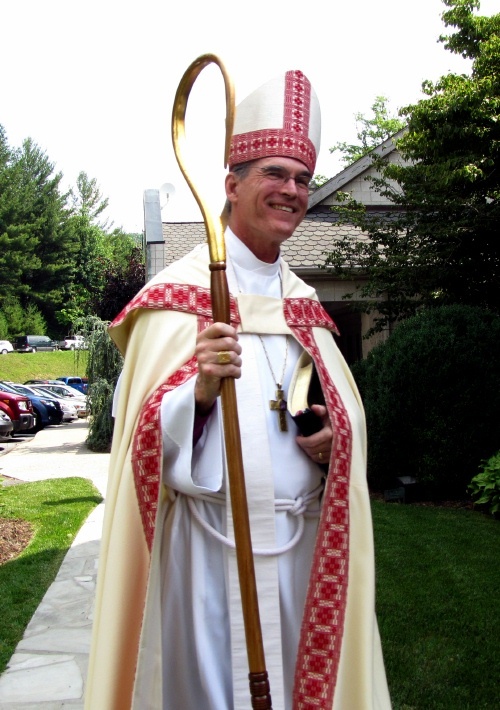 Porter Taylor served as the sixth bishop of the Episcopal Diocese of Western North Carolina from 2004 to 2016. A native of Asheville N.C., he holds a Ph.D. in theology and literature from Emory University. He received his M.Div. from The School of Theology at Sewanee and served at St. Paul’s Episcopal Church in Franklin, Tennessee. Currently he teaches at Wake Forest University Divinity School where he serves as visiting professor for Episcopal Studies. Before his time as bishop, he served seven years as rector of St. Gregory the Great Episcopal Church in Athens, Ga. He is the author of To Dream as God Dreams: Sermons of Hope, Conversion, and Community, and From Anger to Zion: An Alphabet of Faith. He is married to Jo Taylor, an artist and research nurse. They have two children, Arthur & Marie. The Eastertide Quiet Day is Tuesday, April 30 at DaySpring, from 10 a.m. to 3 p.m. The cost is $10 for a seated lunch. Individuals and groups are welcome. Register by emailing merfourth@episcopalswfl.org.